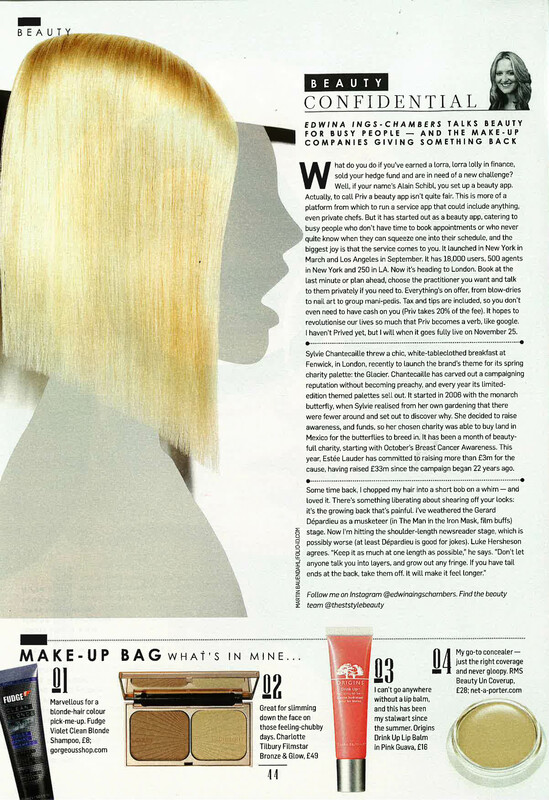 A staple in many beauty writers’ make-up bag is RMS Beauty’s “un” cover-up and it looks like Edwina Ings-Chambers of Sunday Times Style’s “Beauty Confidential” is on board as well! Easy to touch up on-the-go, this light-weight concealer offers great coverage without looking heavy or over-done. Apply sparingly with fingers over the T-zone area or wherever any extra coverage is desired.